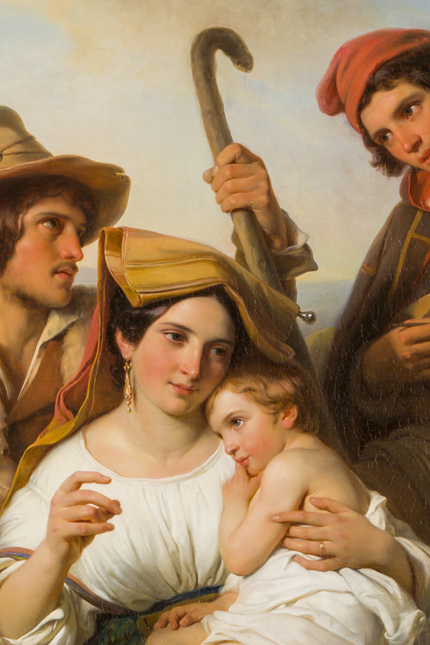 Around 1819-1820, Kruseman took an important step in his career by painting religious subjects, i.e. the most prestigious specialism in painting. 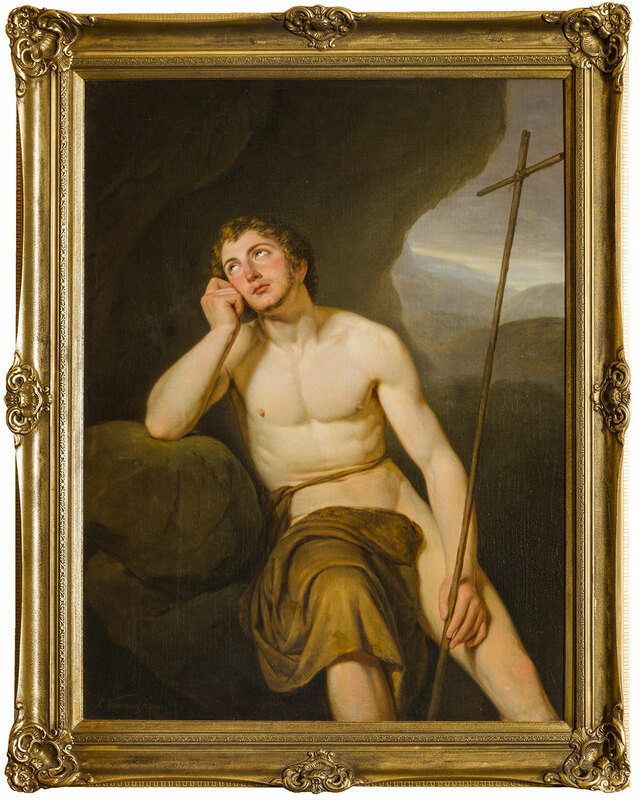 Commissioned by the Amsterdam council member and person of independent means Andries Cornelis Willem Munter (1774-1861), Kruseman made this portrait of the young John the Baptist leaning pensively against a rock. 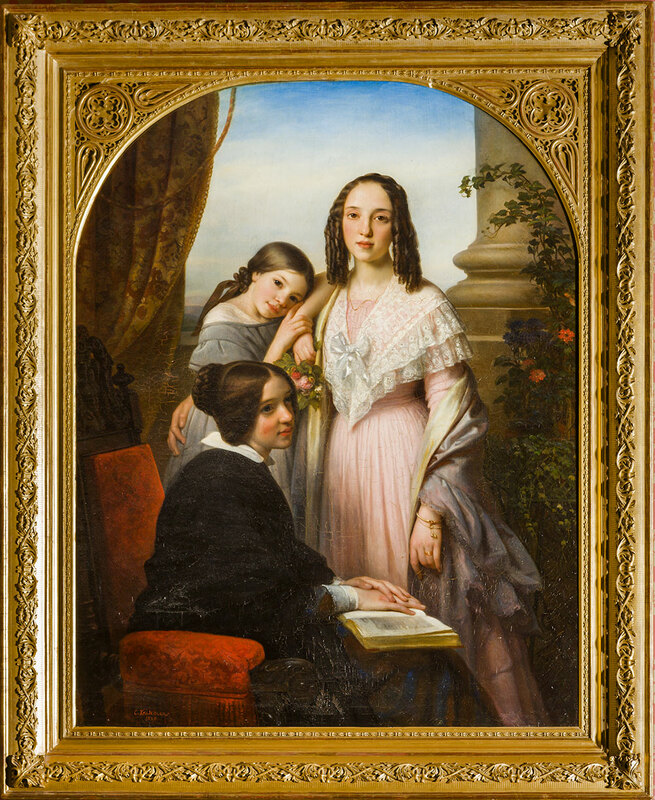 In 1848, Kruseman painted this monumental portrait of the three daughters of his brother Johannes Diederik Kruseman (1794-1861). 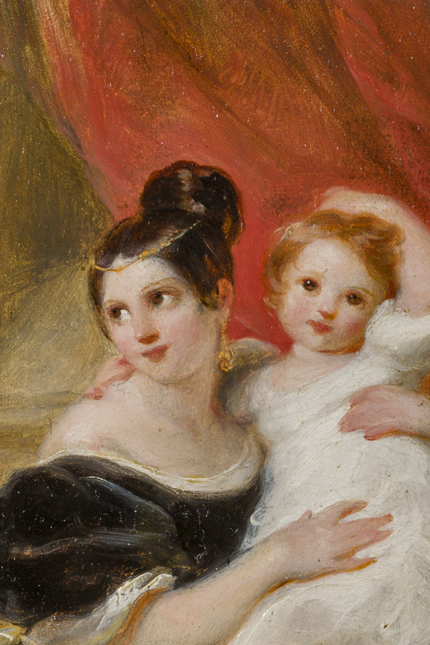 Johanna Cornelia, the young lady wearing the pink dress, is the grandmother of Ms J.M.C. Ising, who established the Cornelis Kruseman Foundation. 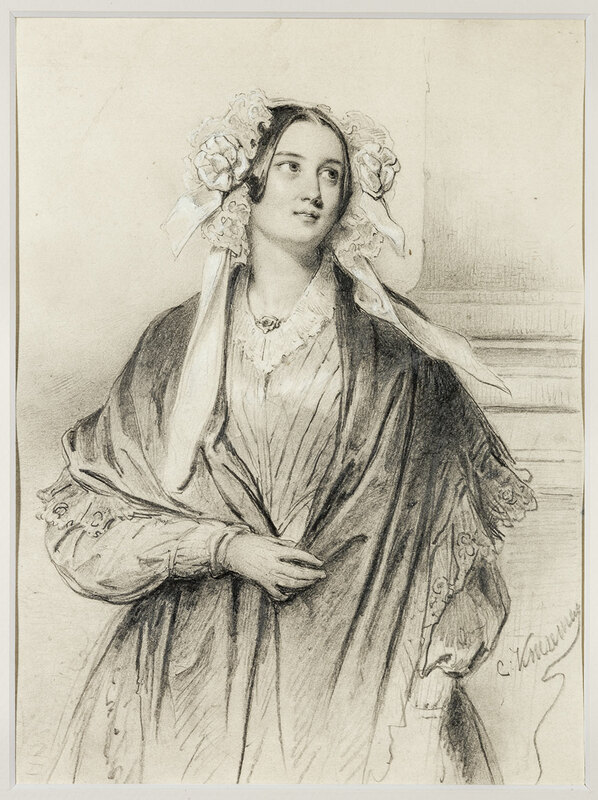 Kruseman showed this portrait at the 1848 Exhibition of Living Masters in Amsterdam and the Hague. Here the portrait was well received. 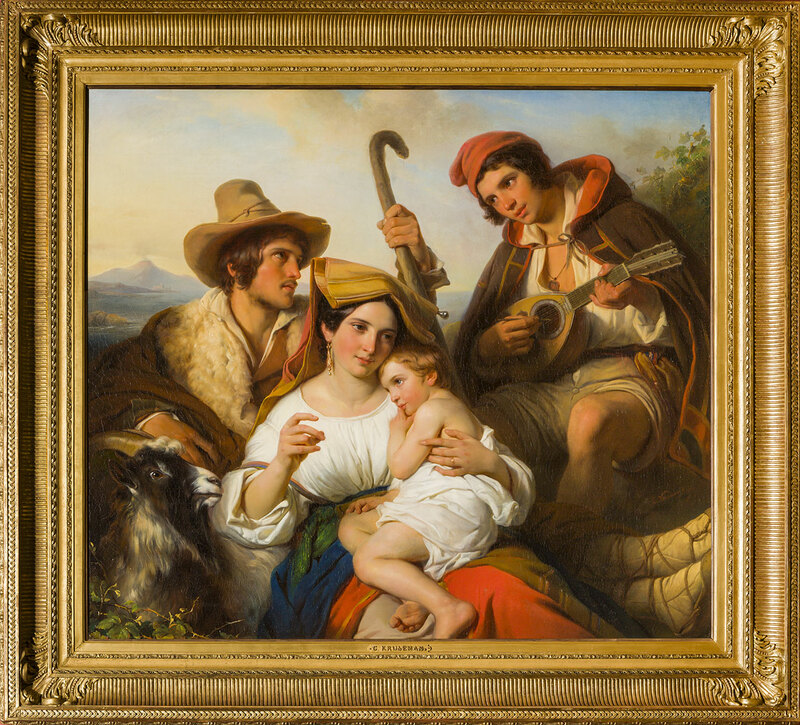 During his first visit to Italy from 1821 to 1824, Kruseman found a new subject to paint, i.e. the lives of ordinary Italian people. 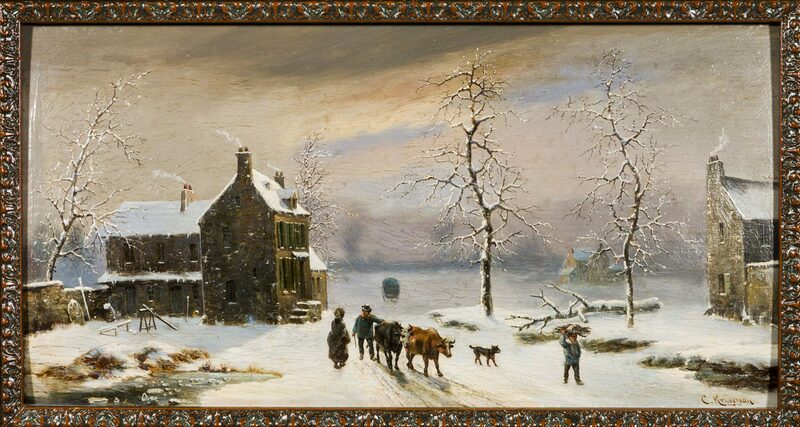 He made this painting back in the Hague in 1840. In a rural environment, we can see a mother and child. At the left stands a shepherd with a goat, at the right a fisherman playing the mandolin. A smoking volcano, the Vesuvius perhaps, stands proudly in the background. 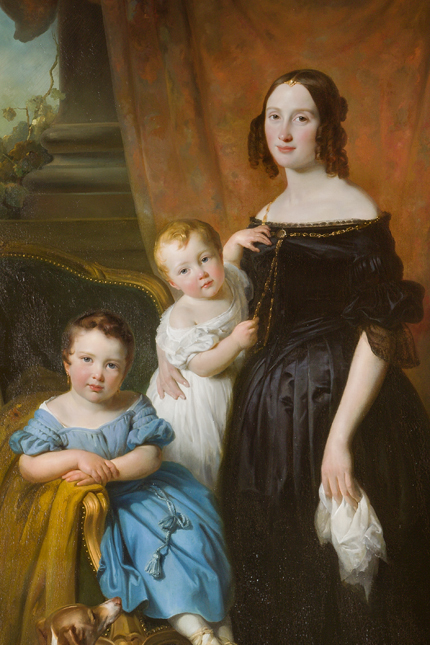 The portrait of Cornelia Nicola-Cheriex and her two daughters is quite extraordinary for more than one reason. 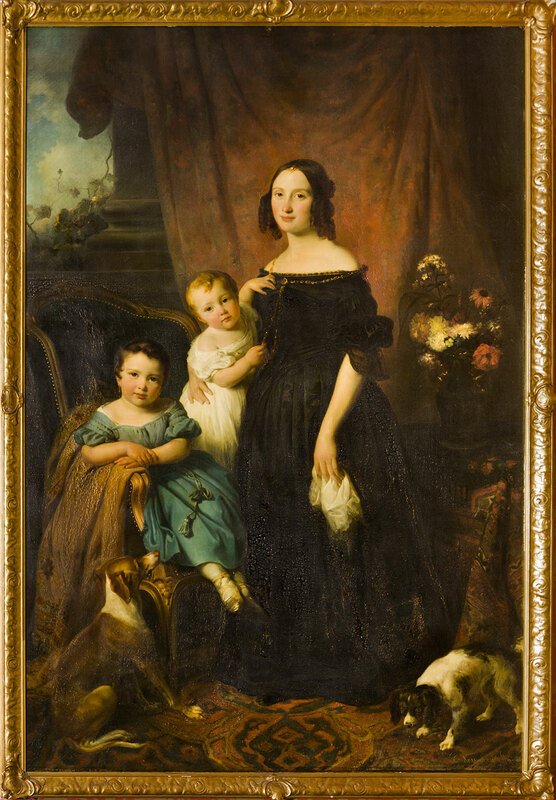 It is one of the few monumental family portraits Kruseman painted in full length. 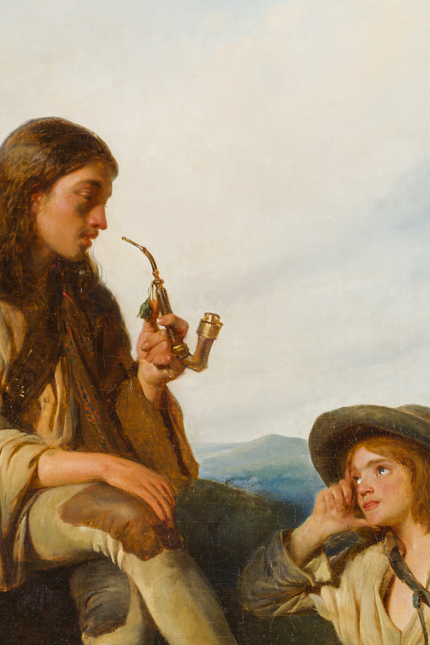 Another striking feature is the portrait showing a young woman from the Hague middle class. 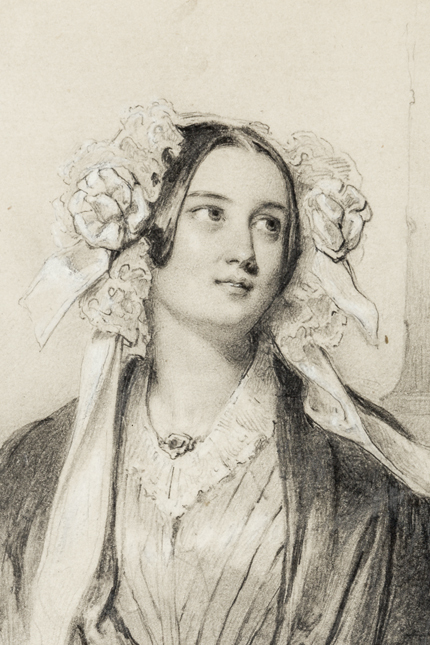 In 1836, this daughter of a boot and shoemaker married George Carel Nicola, a baker’s sons. 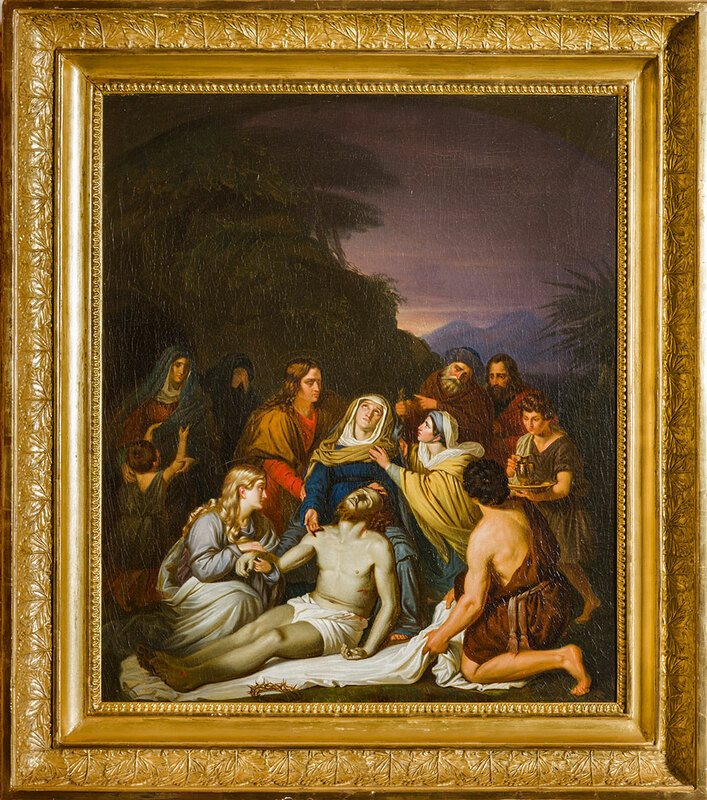 Kruseman’s pupil Johannes Robertus Post Brants (1811-after 1848) made a copy after the great painting ‘De graflegging van Christus’ (‘the Entombment of Christ’). 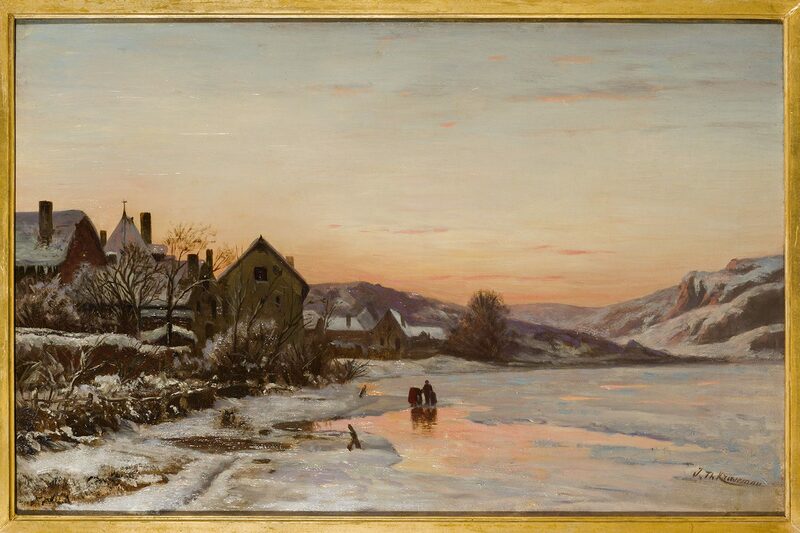 For centuries, copying after artworks of other masters had been a usual learning method for artists in training. 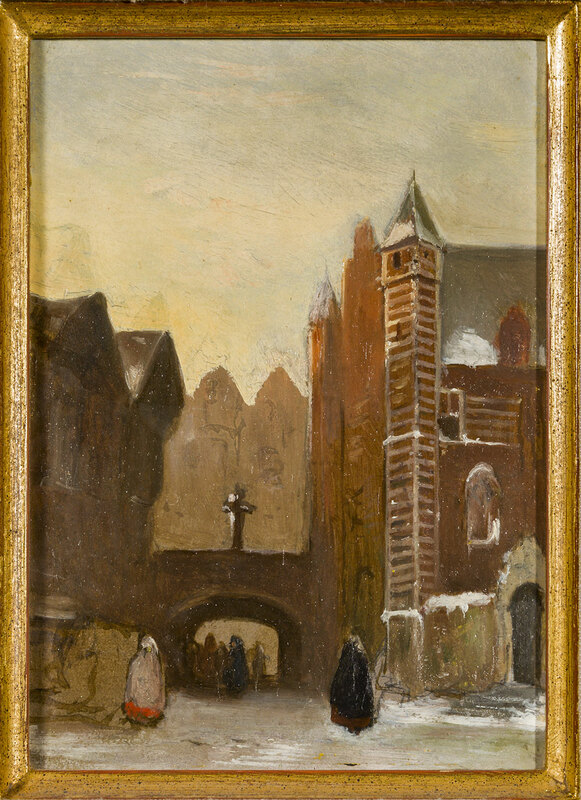 Kruseman encouraged his pupils to make studies of both his paintings and those of the Dutch masters of the seventeenth century. 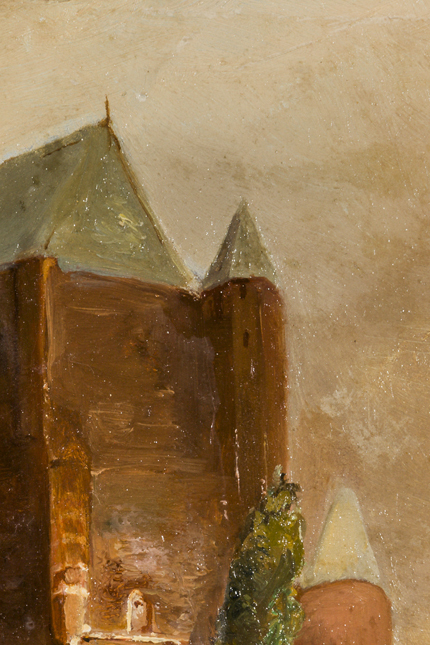 The latter could be found at the building currently known as the Mauritshuis in the Hague. 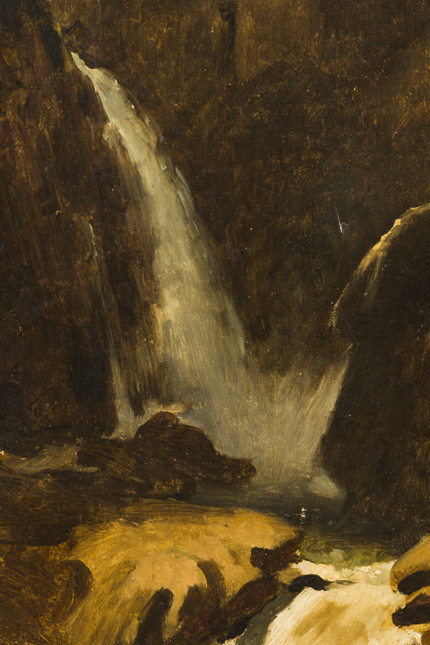 This small painting exudes the atmosphere as created by the Dutch masters of the seventeenth century. 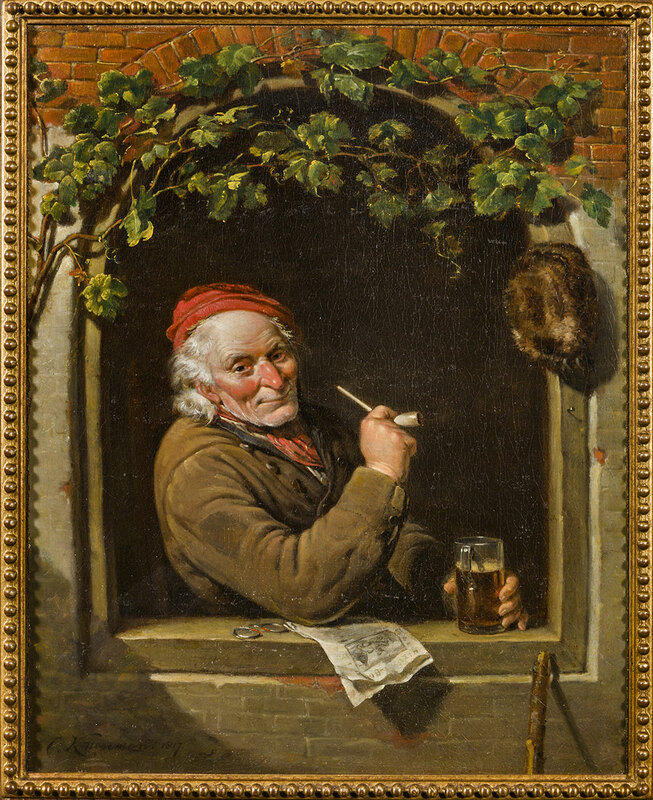 Kruseman showed this painting at the 1818 Exhibition of Living Masters in Amsterdam. 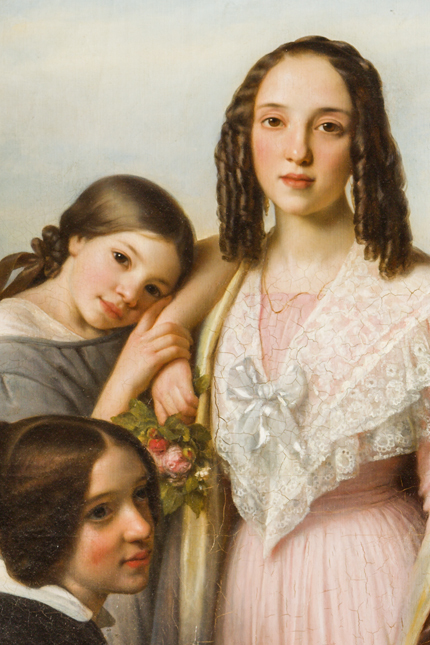 The two young ladies are wearing fashionable clothes with historic details. 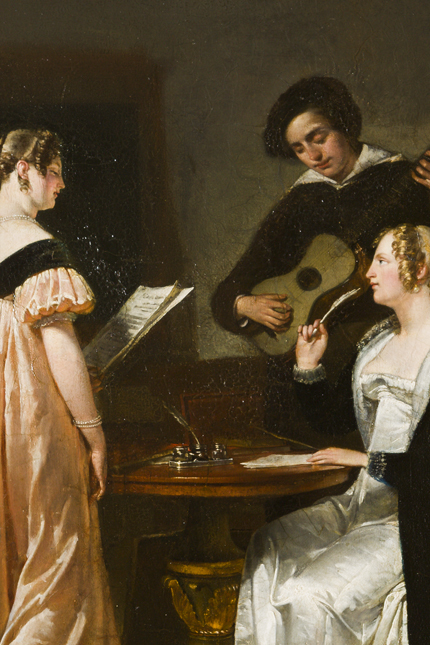 The young man with the guitar or lute in the background is said to be Kruseman himself (a self-portrait). 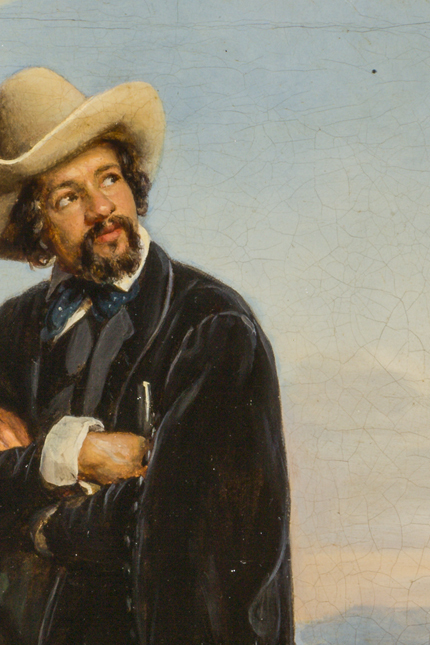 In 1841, Kruseman left for Rome for the second time. Here he met several foreign artists, including the German painter Louis Joseph Brüls, who had become a naturalised citizen of Belgium. 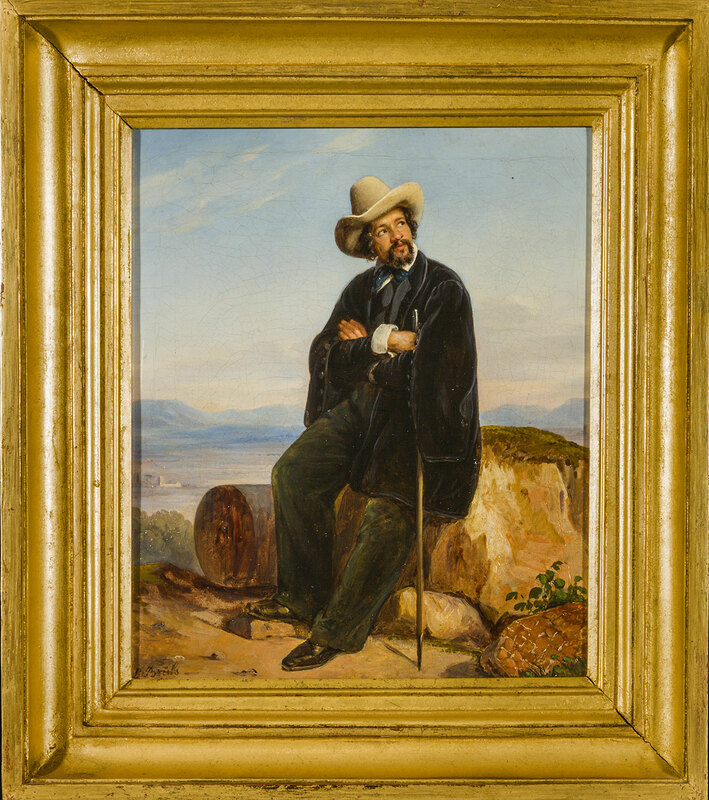 Brüls made this charming portrait of Kruseman wearing travelling clothes and holding a walking stick. 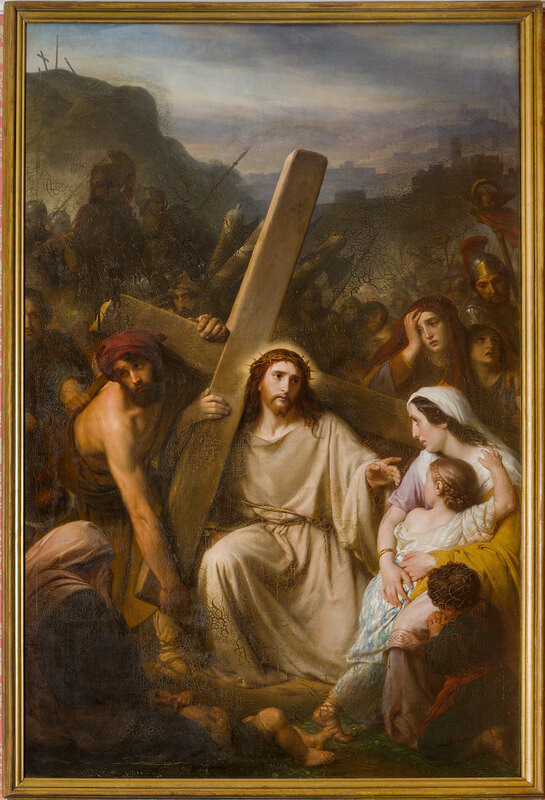 ‘The Bearing of the Cross’ is one of Kruseman’s four monumental paintings commissioned by ‘jonkheer’ Jan Elias Huydecoper (1798-1865). 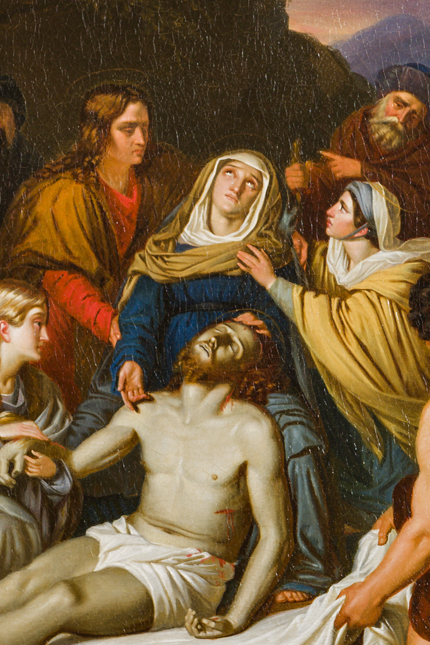 ‘The Bearing of the Cross’ was the only painting to be shown abroad. 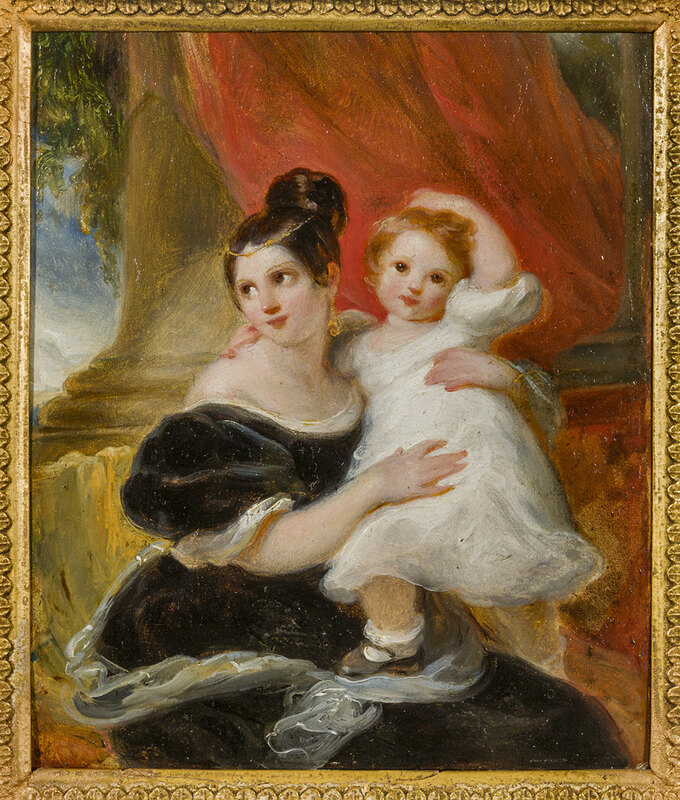 It was exhibited at the 1851 Salon in Brussels, where it was awarded one of the gold medals. 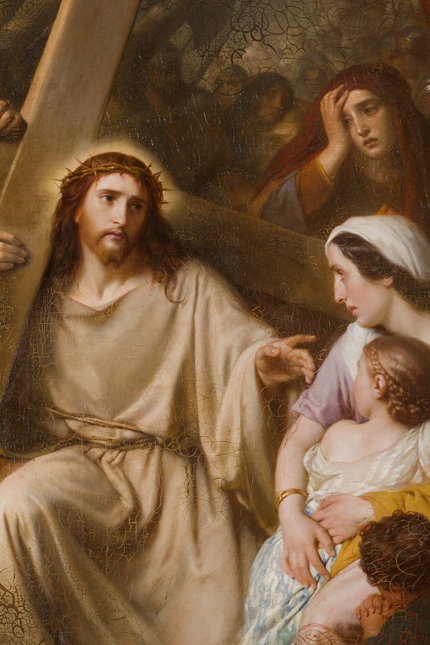 In this painting, Kruseman depicted Christ who, tired from carrying the heavy cross, speaks to the weeping women. 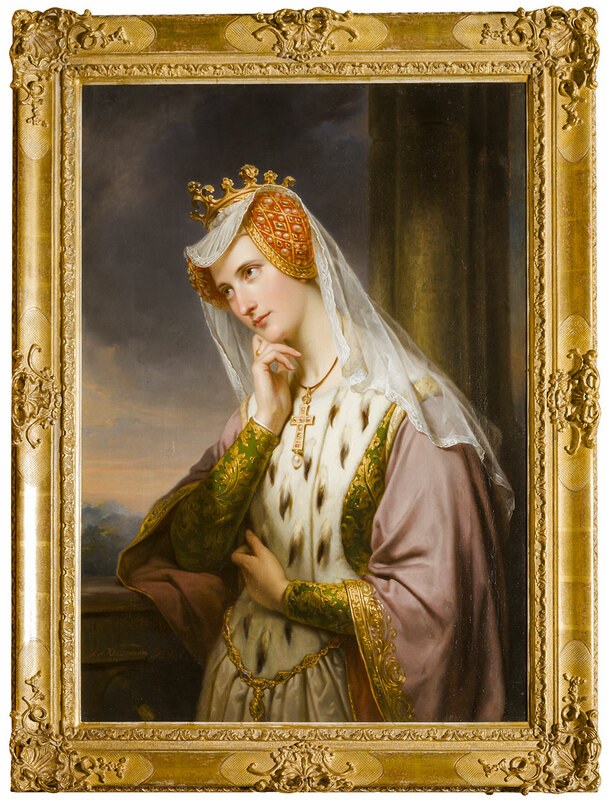 In 1817, Kruseman showed this charming portrait at the Exhibition of Living Masters in the Hague. 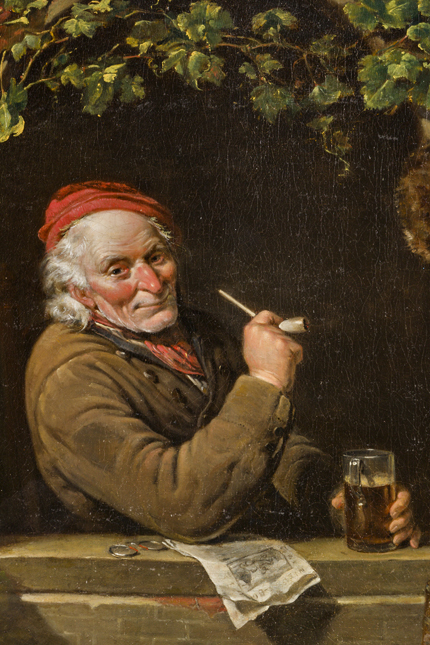 At the beginning of his career, the twenty-year-old artist was clearly inspired by the Dutch masters of the seventeenth century, such as – in this case – Frans van Mieris the Elder (1635-1681). The revival of the Hague as a royal residence and a centre of government gave renewed artistic fervour and sparked a desire among the ‘new’ Hague elite to create a distinct profile for themselves. As a result, many portraits were being commissioned. 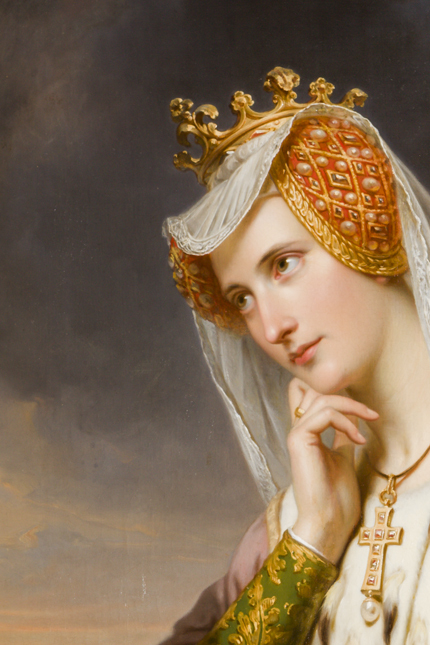 During the period 1825-1827 alone, Kruseman painted approximately 45 portraits. This enchanting oil sketch of a mother and child has been set up smoothly and exudes an atmosphere of candidness and intimacy. 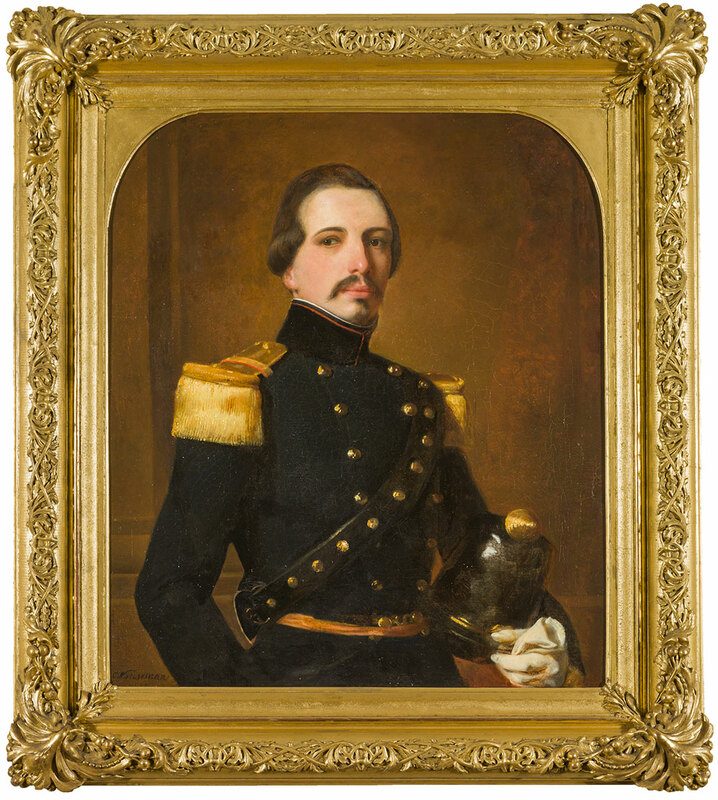 This portrait of Cathérine Gauthier Constant François Ising (1823-1894), the future husband of Johanna Cornelia, was made in the same year as the portrait of the three sisters. The couple married in 1851. 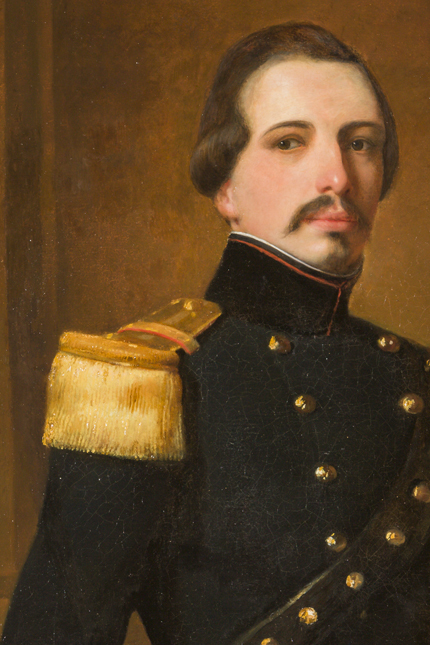 Unfortunately, the portrait became severely damaged. 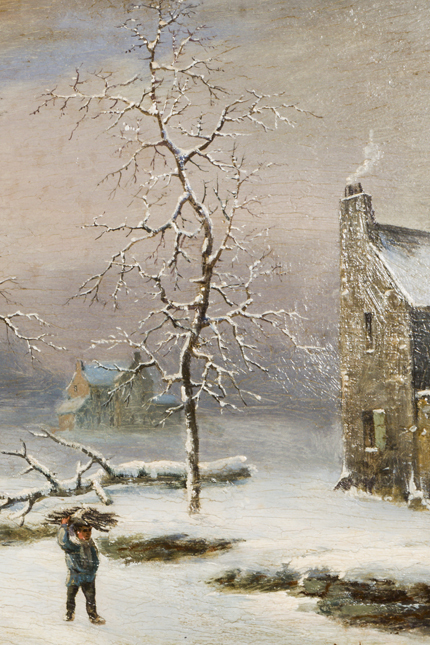 After being restored, Kruseman’s contribution is hardly recognisable anymore. 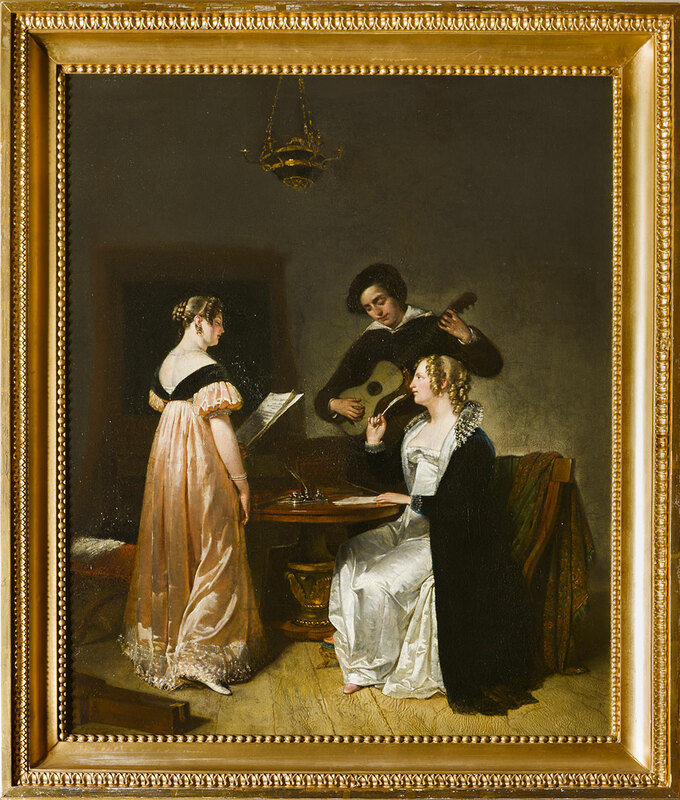 Kruseman showed the painting of these two Hungarian sellers of mousetraps at the prestigious 1841 Salon in Paris. 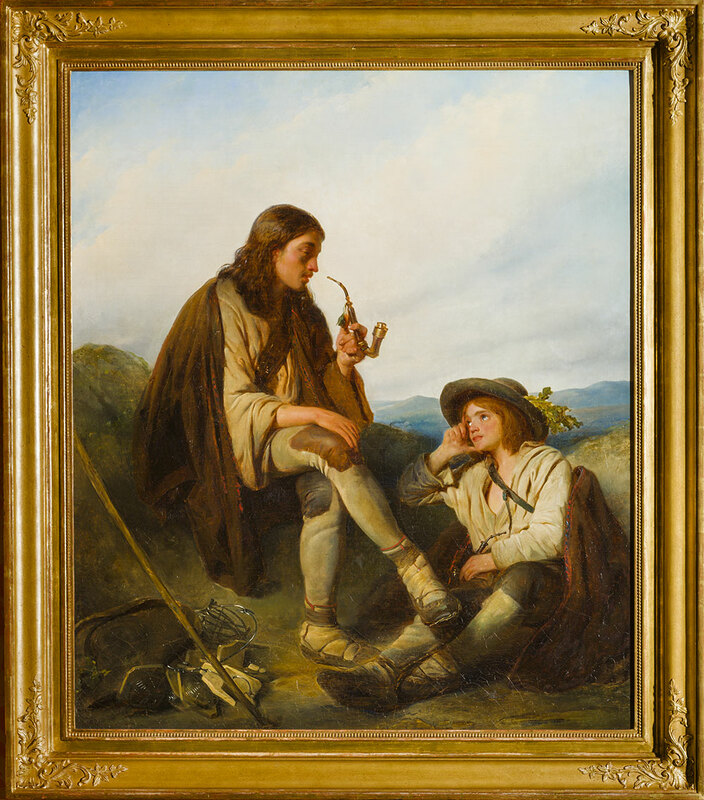 In a mountainous landscape, both young men are having a short rest, enjoying their pipes and a good story. Their merchandise can be seen on the left. After its return from Paris, this work was purchased by Kruseman’s close friend and printer Adrianus David Schinkel (1784-1864). 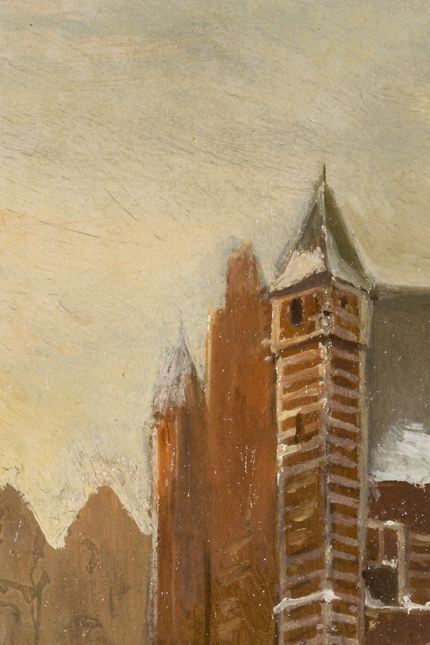 Although the ambitious Kruseman intended to become a painter of historical pieces, Amsterdam did not provide him with the necessary means. 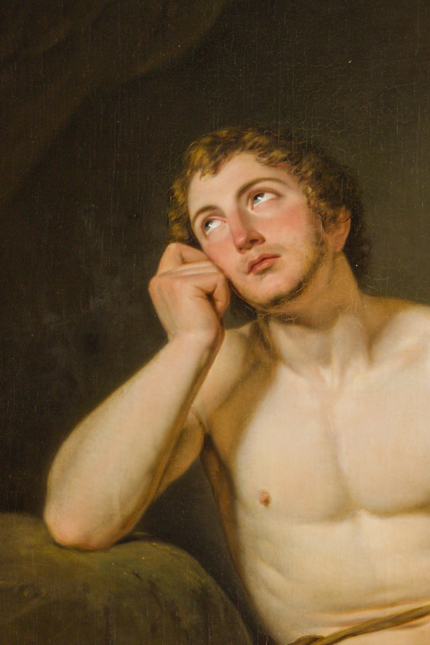 Therefore, the painter left for Rome in September 1821 in order to study works of famous Italian masters such as Michelangelo and Raphael and the classical antiquity. 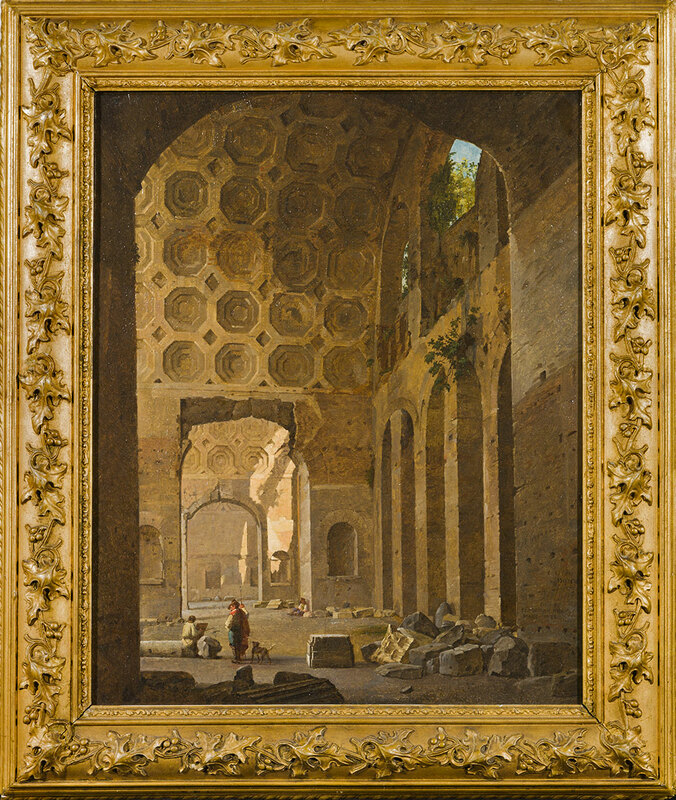 This painting of the ruin of the Basilica of Maxentius was signed by Kruseman, Vervloet and Maes, an extraordinary cooperative. 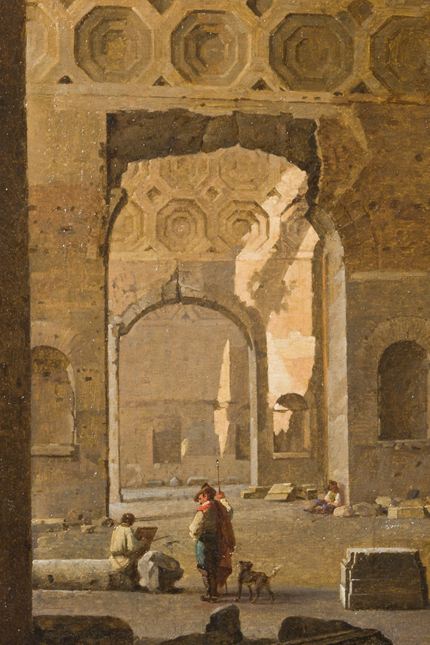 During the warm summer months, Kruseman and his artist friends often went to the Roman campagna to escape the heat. 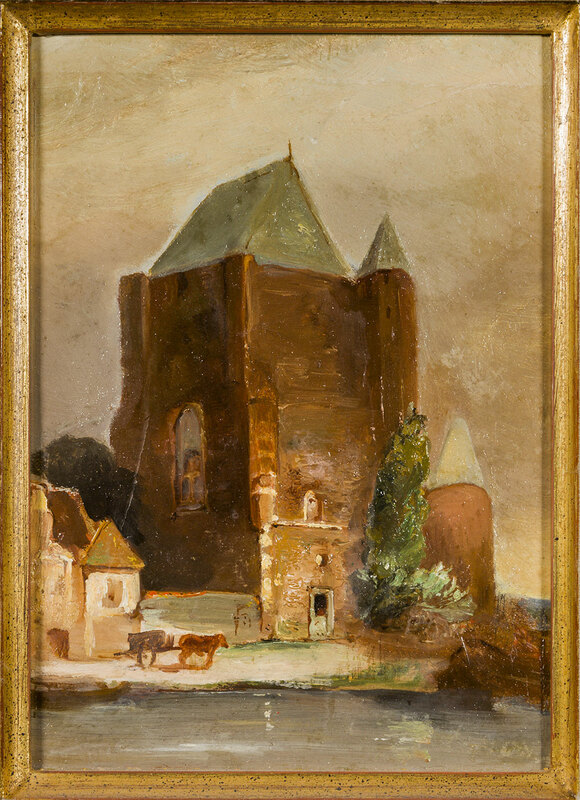 They travelled to the charming villages and surroundings where they made numerous landscape studies. 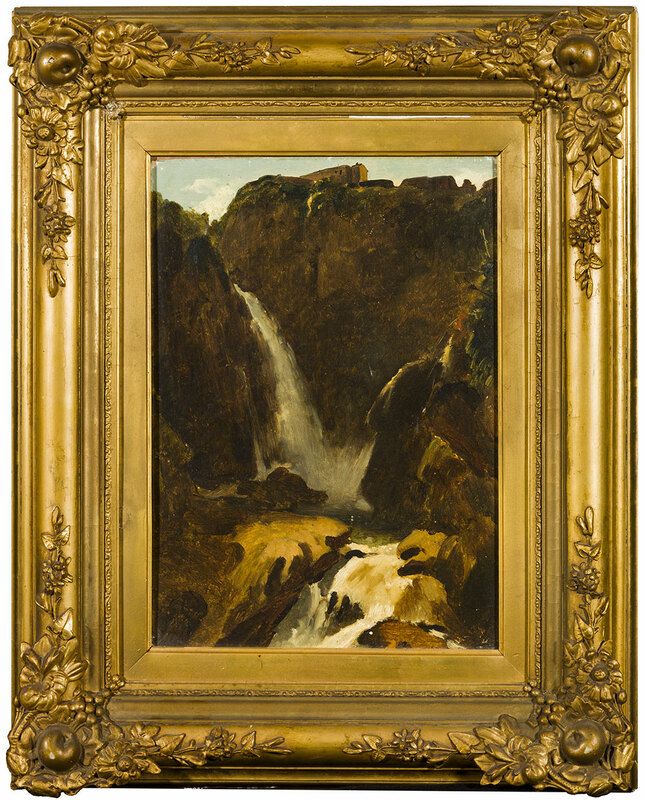 In the summer of 1822 and 1823, Kruseman visited the city of Tivoli and its famous waterfall. 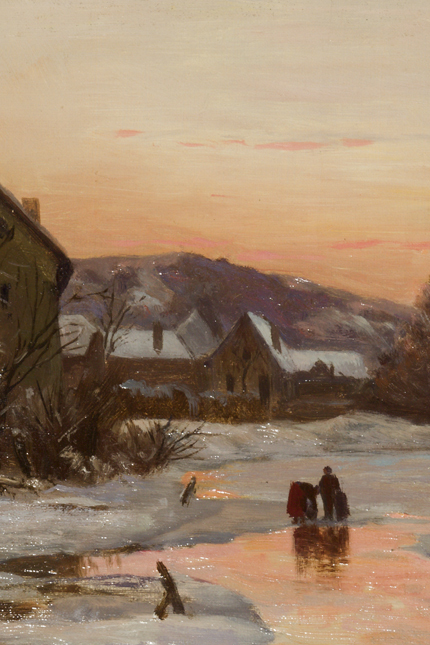 It is not inconceivable that his briskly painted sketch was created there.